What can I say? 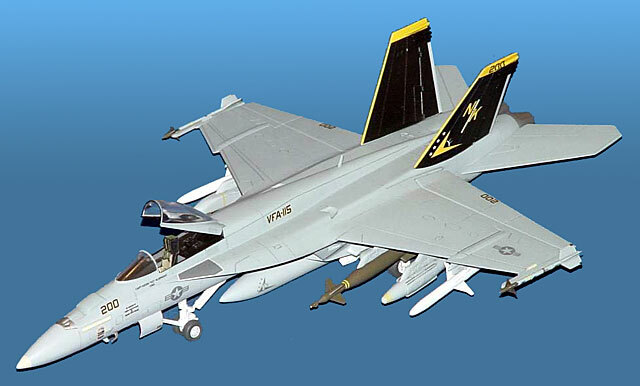 Italeri's 1/72 scale F/A-18E Hornet kit is more work than I want to do again anytime soon! 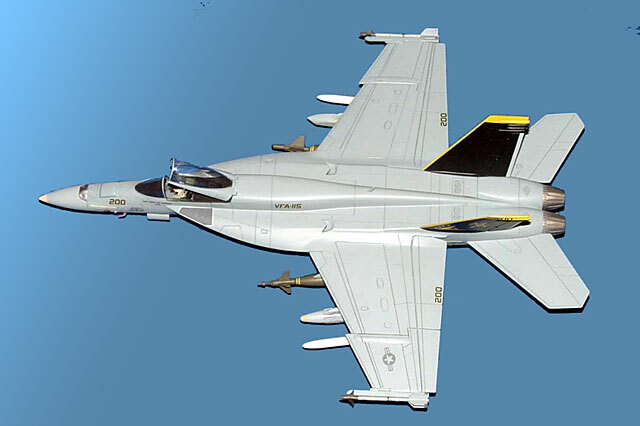 Apart from removing the airbrake and blending in the flap slots on the LERX I also eked out or rescribed basically every panel line on the model to sharpen up those awful soft lines that Italeri give these days. Pylons were modified to nearer production standard and centreline tank was extended. Interior was competely rebuilt using plastic sheet, brass and milliput seat is a Pavla rip-off of the true details NACES, and so is undersize but not too bad. Still lacking a HUD. . I've lost my sheet of etched HUDs to find a suitable one. Stores are mostly from Hasegawa weapons sets. . it may be an unlikely loadout but Superbugs seem to specialise in assymetric and odd load outs, si I did what I liked and what looked good to me! 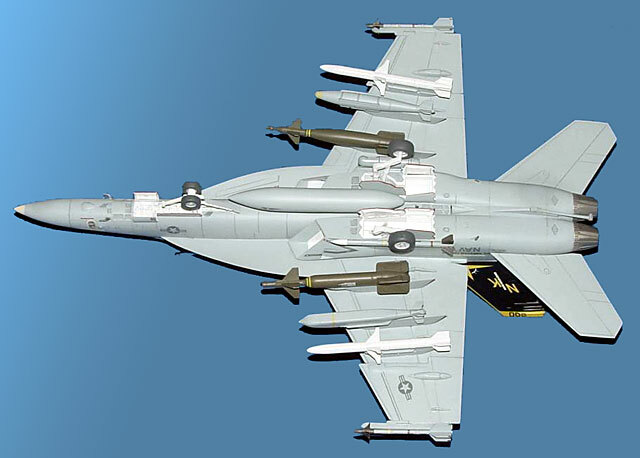 AGM-88's are from the Hasegawa F-16CJ. . not as nice as the beauties in the RoG Tornado ECR but all I had to hand. FLIR pod is from Hasegawa. Paint is Gunze Sangyo Mr Color laquers and a sludge wash, decals are from Aeromaster's "Abe Lincoln Superstars" sheet and final finish is Testor Dullcote from my ever dwindling stocks with some of the flatting agent removed to give it a hint of a sheen. I missed some details (No doubt Joe Hegedus will fill me in!). . some I didn't find out about 'till late, some I didn't have the energy for. It's no silk purse but I'm happy that at least I did something with the pig's ear I started with! 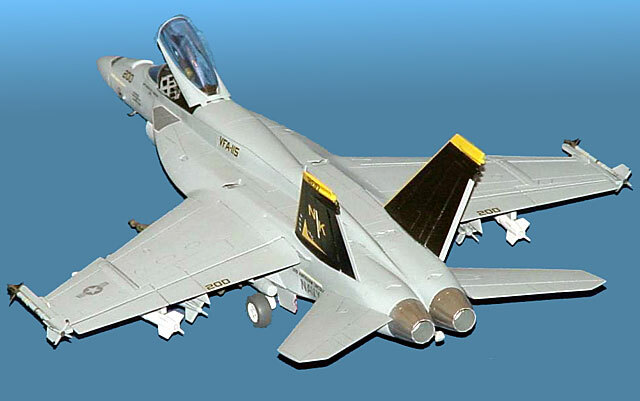 Actually my major annoyance is not with Italeri. . it's with Hasegawa for announcing then canning a Super Hornet a couple years ago and leaving me to polish this lump in order to add a SuperBug in Real Scale to my collection!